Group owners can archive and delete a group. In doing so, the group becomes hidden for all members and only owners can unarchive the group afterwards. Switch over to the Groups tab before starting! 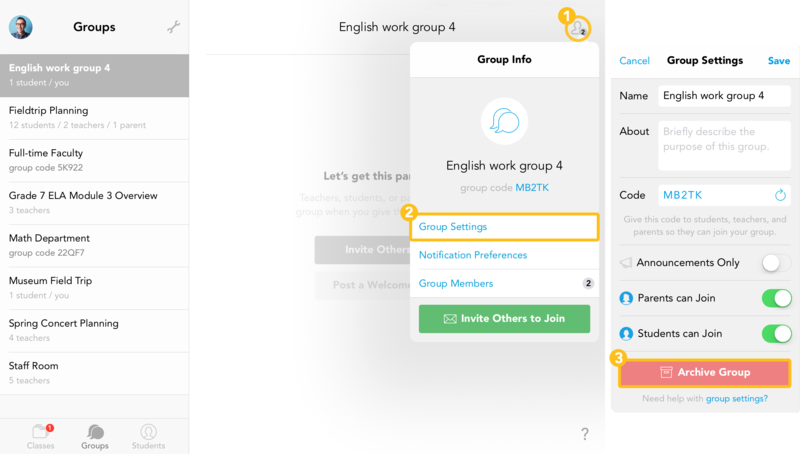 Or you can swipe on the group for a quicker way to archive groups! You can also swipe on an archived group to unarchive it. Find out here! Groups can only be deleted by the owner if they are the only owner of the group.